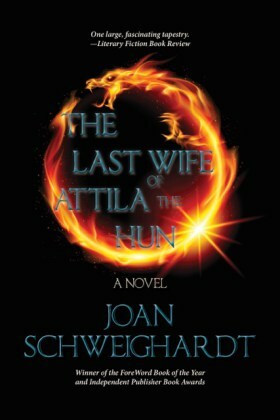 The Last Wife of Attila the Hun by Joan Schweighardt is an ambitious, superbly researched, excellently written novel based on Germanic legends and the true life of Attila the Hun that will mesmerize fans of historical fiction. There isn’t a lot of fiction based on Attila, so being a lover of history I was instantly intrigued about reading the book. The novel moves back and forth in time, interweaving two stories. In one, we meet Gudrun, a brave Burgundian noble woman with a lethal mission, destroy the infamous Attila the Hun. In the other, the reader travels to the past to learn the overwhelming events that brought Gudrun to this difficult, suicidal undertaking. From the beginning, Schweighardt’s imaginative storytelling and attention to detail shine through the pages, bringing Attila’s fifth century landscape to life in all its gritty vividness. Characters are deftly drawn, and I found myself instantly sympathetic to Gudrun’s situation, as well as absorbed by the other characters. This was especially true of Attila’s second in command, with whom Gudrun develops an unusual relationship. Attila himself is portrayed in chilling detail. Needless to say, I love the fact that the story is seen from a female perspective. At times, her focused obsession for revenge propels the tale at a breathless pace. Juxtaposing with her present life as Attila’s prisoner are her memories of her great yet tragic love with Sigurd. I’m not surprised the novel has won awards and it’s been translated into other languages. Dark, mysterious, and beautifully layered, The Last Wife of Attila the Hun is filled with lust, revenge and passion, and comes highly recommended by this reviewer. If you’re a historical fiction enthusiast, this is for you. Find out more about Joan Schweighardt here. Read my interview with her on Blogcritics. Purchase the book on Amazon. 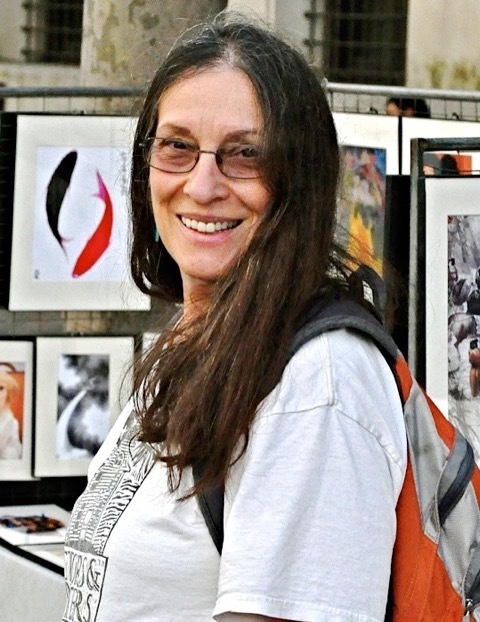 Joan Schweighardt is the author of several novels. In addition to her own projects, she writes, ghostwrites and edits for private and corporate clients. Q: Congratulations on the third release of your latest book, The Last Wife of Attila the Hun. To begin with, can you gives us a brief summary of what the story is about and what compelled you to write it? A: The book is about a Burgundian noblewoman in 450 a.d. who goes to the City of Attila to give Attila what she believes to be a cursed sword. There are two threads throughout the book, one describing what happens to her in the City of Attila and one illuminating the reasons she went there in the first place. Q: What do you think makes a good historical novel? Could you narrow it down to the three most important elements? Is it even possible to narrow it down? A: The Last Wife of Attila the Hun is based on both history and legend, and I think this is probably true of many so called historical novels. The most important element for me, for this particular book, was blending the historical and legendary materials together so that they would feel seamless. The history of Attila contains a catalogue battles, of instances of greed, ego, and extraordinary acts of violence. On the other hand, the legends talk about magic swords and even dragons. So I had to mix these elements in such a way that the reader wouldn’t feel jerked around from one utterly realistic setting to one bordering on fantasy. With other historical fiction that I’ve worked on, where there were no legends involved, the challenge was to mix historical fact with fictional characters. After you’ve spent hours and hours researching, I think there is a tendency to want to pour all the factual stuff you’ve learned into the novel. My first draft is always too heavy on the historical end, almost like a text book. So when I do second and third and fourth drafts, I try to keep deleting unnecessary details while I simultaneously work on enhancing character and plot. A The main plot points were there for the taking, in the legendary and historical materials. But it was still no piece of cake. I had to fill in lots of gaps, build lots of bridges. Also, when I wrote the first draft it was in chronological order, which meant that the legendary stuff was for the most part in the first half of the book and the historical stuff was in the second. That didn’t work at all. I had to find a way to weave the legendary and historical materials together, and that took several more drafts. A: I got my protagonist from the legendary material, not the historical. Very little is known about the “personality” of the last wife of Attila. We only know that at some point near the end of his life Attila married a Germanic woman. I identified this Germanic woman as the Gudrun from the legends. The legends provided elements for the motivation and the plot I would develop to get Gudrun from A to B to C, but they still fell short when it came to her personality, who she was as a woman. That just kind of developed over time as I worked on each draft and began to be able to really imagine her. The story is written in first person, which helps a lot with character development issues. It forces your character to reveal herself. A: The history books I researched had all kinds of interesting information about Attila. The Huns and Germanic people didn’t write back then, so most of the stories about Attila came from Roman historians. But, as ruler of half the known world and a man who felt his calling was to take over the other half too, Attila was a hot topic among Roman historians, and I got some really juicy tidbits about his behavior, his relationships with his sons, his relationships with his various wives, his beliefs, his superstitions and of course his battles. It was a real revelation. I knew virtually nothing about him before. A: Unlike other novels, where I’ve had to really focus on plot, here I had to focus on what I should leave out of the plot so that the story would not become “congested.” But in general, I try to end chapters with developments that seem surprising or ironic. I say to myself, What’s the least likely thing I would expect to happen here? And then I try to make it happen. A: There are descriptions of the great City of Attila in history books, so I was able to draw on that. The other main setting in the book is a rather dilapidated “castle” in a rural area of Europe in 450 a.d. I did research to figure out what life would be like in such a place, how people would bathe, how they would eat, what the inside of their dwellings would look like, etc. A: I knew what themes were of interest to me when I started, but the great thing about fiction is that when you get done you see that there are other themes that worked their way in, things you didn’t really intend. The writer Susan Sontag once said she wrote to find out what she was thinking. I think this is what she was talking about. A: If I never edited my work it would all be garbage. I can’t speak for other writers, but for me craft is essential. I have a few friends who are not only wonderful writers but also very honest in their critiques. I ask them to read early drafts of my work. When you get caught up in the day to day of writing a novel, you can take a wrong turn or get sidetracked by a really boring subplot and not realize it. My three favorite fellow writers are all really different in their approach to writing. So once they each give me feedback, I feel I have the best possible picture of the weaknesses in my work and I can go back to the drawing board assured that the next draft will be better. A: I am always surprised by the number of writers who don’t want to go back and polish. Maybe some are geniuses and they don’t have to. But most writers will find that it is impossible to write a really good book without going back over it a number of times. During the first draft you may want to concern yourself mostly with plot. The next draft you may want to work more on character development. The next one you may want to just go through and make sure your characters’ motivations are clear and setting descriptions are solid. Sometimes in my work I make assumptions about motivation; I think because I know why a character is doing something other people will know too. This is one of those areas where the help of other writers/readers has been invaluable to me. So, the three things I believe most writers need to be successful are: draft one, draft two, draft three (and drafts four and five can’t hurt either). A: Most people would agree that “homework” connotes a task that is given to you by someone other than yourself for the purpose of ascertaining that you’ve learned certain lessons. Writing a book, on the other hand, is a task you’ve generated for yourself, for the purpose of telling a story that is important to you for one reason or another. So no, I don’t think the comparison is apt. A: Again, what I’ve found most helpful is insights from fellow writers. These days there are all kind of websites that provide help to writers too. Savvy Authors is one of my favorites, but there are plenty of others. There’s no shortage of ideas out there about how to do anything, whether it’s writing a book or changing out a toilet. A: A lot of young writers who start out writing short stories with the hope that they will write longer works in the future get bogged down by the idea of taking on a huge project. I would like to say to them, Why not try your hand at writing a novel based on history or legend? Maybe you have a time period that interests you, and you can develop it and then tell a story on top of it, so to speak. Or maybe there is a historical character that you’d like to develop a setting around. Or maybe there is a myth or legend that you’d like to bring into modern times. Jane Smiley took the story of King Lear, which is of course best known as a Shakespearian play, and made it her own in her novel A Thousand Acres. What’s really interesting to me is that Shakespeare borrowed his King Lear from a Celtic legend, and the legend likely had some foundation in history. Two threads are woven together in The Last Wife of Attila the Hun. In one, Gudrun, a Burgundian noblewoman, dares to enter the City of Attila to give its ruler what she hopes is a cursed sword; the second reveals the unimaginable events that have driven her to this mission. 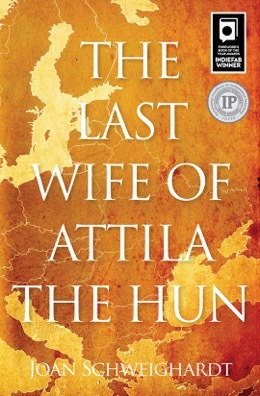 Based in part on the true history of the times and in part on the same Nordic legends that inspired Wagner’s Ring Cycle and other great works of art, The Last Wife of Attila the Hun offers readers a thrilling story of love, betrayal, passion and revenge, all set against an ancient backdrop itself gushing with intrigue. 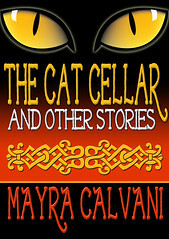 Lovers of history and fantasy alike will find realism and legend at work in this tale. Q: Congratulations on the release of your latest book, The Last Wife of Attila the Hun. To begin with, can you gives us a brief summary of what the story is about and what compelled you to write it? A: My publisher is calling The Last Wife of Attila the Hun a “literary historical novel,” because every book that gets published has to have some genre classification and literary historical comes the closest. However, the book doesn’t fit neatly into that category. I researched two bodies of materials to write The Last Wife of Attila the Hun. I thoroughly researched Attila, not only regarding his life in his “city” but his relationship with the emperors of the eastern and western Roman empires during the very intriguing historical period in which the story is set. But I also researched Nordic legends that concerned the Burgundian tribes, some of whom seem to have had unfortunate dealings with Attila. I like to say the book is a “historical novel with a strong legendary component,” or “a novel based on legend within a solid historical setting.” I would say any book in this same unnamed genre should be well researched and should balance its influences so that the strands flow together and the world the writer creates feels believable. A: Since I was drawing on legend and history, the main plot points were there for the taking. But it was still no piece of cake. I had to fill in lots of gaps. Also, when I wrote the first draft it was in chronological order, which meant that the legendary stuff was for the most part in the first half of the book and the historical stuff was in the second. That didn’t work at all. I had to find a way to weave the legendary and historical stuff together, and that took several more drafts. A: I got my protagonist from the legendary material, not the historical. Very little is known about the “personality” of the last wife of Attila. We only know that at some point near the end of his life Attila married a Germanic woman. I identified this Germanic woman as the Gudrun from the legends. The legends provided elements for the motivation and the plot I would develop to get her from A to B to C, but they still left me short when it came to her personality, who she was as a woman. That just kind of developed over time as I worked on each draft. The story is written in first person, which helps a lot with character development. A: The history books I researched had all kinds of interesting information about Attila. The Huns and Germanic people didn’t write back then, so most of the stories about Attila came from Roman historians. But, as ruler of half the known world and a man who felt his calling was to take over the other half, Attila was a hot topic among Roman historians, and I got some really juicy tidbits about his behavior, his relationships with his sons, his relationships with his various wives, his beliefs, his superstitions and of course his battles. A lot of this information found its way into the book. Even if a reader doesn’t care for the legendary stuff, they will walk away knowing a heck of a lot about the true historic Attila. A: Again, a lot of it was there for me. There are descriptions of the great City of Attila in history books, so I was able to draw on that. The other main setting in the book is a rather dilapidated castle in a rural area of Europe in 450 a.d. I did research to figure out what life would be like in such a place, how people would bathe, how they would eat, what the inside of their dwellings would look like, etc. A: If I never edited my work it would all be garbage. I can’t speak for other people, but for me craft is essential. Also, I have a few friends who are not only wonderful writers but also very honest in their critiques. I ask them to read early drafts of my work. When you get caught up in the day to day of writing a novel, you can take a wrong turn or get sidetracked by a really boring subplot. My three favorite fellow writers are all really different in their approach to writing. So once they each give me feedback, I feel I have the best possible picture of the weaknesses in my work and I can go back to the drawing board assured that the next draft will be better. A: Most people would agree that “homework” connotes a task that is given to you by someone other than yourself for the purpose of ascertaining that you’ve learned certain lessons. Writing a book, on the other hand, is a task you’ve generated for yourself, for the purpose of telling a story that is important to you for one reason or another. The other thing I’d like to say is, These are hard times to be a writer. It’s very hard to get published, and even if you do get published, it’s very hard to spread the word about your book, unless you are published by one of a handful of big publishers with money to throw at your work or you have zillions of followers on social media. But there are many other reasons to write besides the remote possibility of making a lot of money. Every book is a journey; it is an opportunity to explore another world, as well as your own mind. Every book will change you in some way. Georgia native Donald Joiner is a veteran who served during the Korean War era. A retired school superintendent and a lifelong student of history, Joiner has been married for fifty-two years and is a proud father and grandfather. He has taught Sunday school in his church for forty years. Joiner has also authored two previous books about antebellum churches in Georgia. Connect with the author on Facebook. Q: Congratulations on the release of your latest book, The Antioch Testament. To begin with, can you gives us a brief summary of what the story is about and what compelled you to write it? A: When the novel begins, it’s 2004 during the height of the insurgency in Iraq. An American army patrol manages to rescue a frightened group of Iraqi Christians fleeing Islamic militants. The refugees’ severely wounded leader, a priest, carries with him a mysterious bundle the group brought with them from an ancient Christian monastery in northern Iraq. Barely clinging to life, the priest insists on handing over the carefully guarded bundle to an American chaplain stationed at the army base. When the bundle is unwrapped, the chaplain finds a large, scuffed, leather-bound ancient manuscript written in an unknown language. Fearing for the manuscript’s safety in war-torn Iraq, the chaplain arranges to have the manuscript sent back to the states. Eventually, the manuscript winds up in an Eastern Orthodox monastery where internationally-recognized linguists begin the arduous task of translating it. What the linguists discover is absolutely astonishing; the manuscript is a first century AD testimonial in ancient Aramaic, the language Jesus spoke, describing what happened to Jesus’ apostles after his Resurrection. But time is running out. What the linguists do not know is that a fanatical Iraqi insurgent cell is bound and determined to retrieve or destroy the manuscript before its secrets can be revealed. I’ve always been intrigued by the remarkable transformation that occurred among Jesus’ apostles after his Resurrection. The bible tells us that before that event they had a motley collection of fishermen, laborers, and revolutionaries seeking to drive out the hated Roman occupiers and the restoration of David’s earthly Jewish kingdom. The New Testament tells us quite a lot about them before the Resurrection, but very little afterward. What happened to them? Where did they go? What did they accomplish? How did they die? From the fragmentary evidence left to us in early Christian traditions, I decided to tell the rest of the story. The Antioch Testament is a work of historical fiction, but it is based on early church traditions. Q: What do you think makes a good work of historical fiction? Could you narrow it down to the three most important elements? Is it even possible to narrow it down? A: 1. The historical setting is very important. Events that take place in your story must be based on actual events of that particular historical era. If you get these events, dates or characters out of historical sequence, rest assured some of your readers will point this out and discredit you. 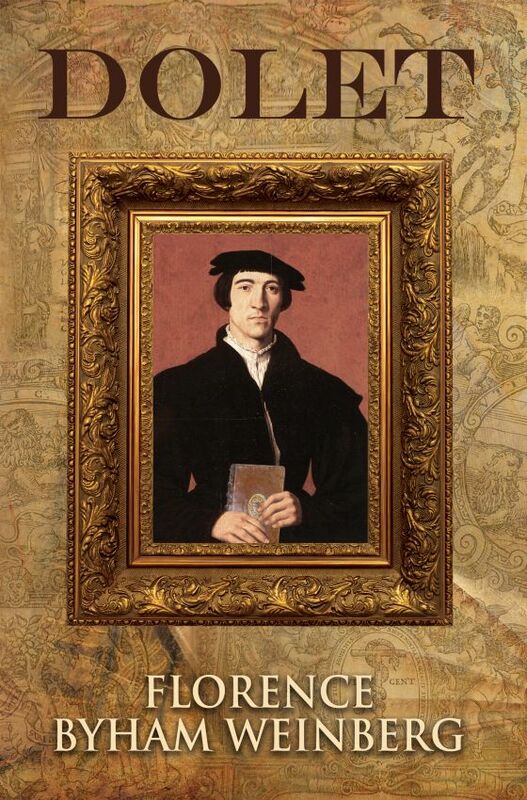 Characters in historical fiction should reflect knowledge available to individuals at that time. You don’t want characters of the first century AD, for example, carrying firearms centuries before firearms were invented or writing on paper centuries before paper was available. The plot in historical fiction should be based on actual events that took place in that era or surrounded by known historical situations particular to the era. A: I tried to develop the individual characters of the apostles based on evidence about them available to us through their depiction in the New Testament as well as what ancient church traditions had to say about them. Ignatius of Antioch. the character responsible for telling the story of the apostles, is believed by Syriac Christians to have been appointed bishop of that city by St. Peter himself and Antioch was in fact a central by way for early Christian disciples on their various missionary journeys in the East. Tradition tells us Ignatius was a companion of several apostles and because most of them traveled through Antioch I decided that Ignatius would be the ideal character to tell the story. Early traditions guided the plot of the story. If tradition said an apostle carried out missionary activities in Persia, I placed him there in the midst of events going on in that era in that location. Once I placed an apostle in a specific location, actual historical events guided the plotting of the story. As an example, since tradition said St. Peter was martyred in Rome, I had to get him there and have him arrested while preaching in the catacombs, and taken to prison, then to trial by a magistrate, then to a place said by tradition to be the location of his execution. A: The army chaplain, the one responsible for sending the ancient manuscript to America, is a composite of several ministers I have known. Though very severely wounded in Iraq, he convinces his unbelieving brother to accompany him on his quest to have the manuscript translated. The character of the brother is based on someone I knew personally. A: The antagonist character was easy to create. Osama bin Laden hated the West in general and the US in particular; despised Christians and plotted the events of 9 – 11. I modeled Zaid Al Rifia, the leader of the fanatical Iraqi cell, on what we know of bin Laden. A: Throughout the book I placed telephone conversations between Zaid and his agent in America telling about the efforts of the insurgent group to track down and get their hands on the manuscript. Something outside the regular storyline can add tension and excitement to the main theme of the story. A: I utilized a map of the Roman Empire with place names of the first century AD. I also inserted large chunks of historical events such as the Jewish revolt against Roman rule in Judea, the struggle of Queen Boadicea against the Roman legions in Britain, and the war between the Romans and Persians in the East. I also inserted Emperor Nero, Roman General Vespasian, and other historical characters to lend credence to the story. A: My theme all along was to demonstrate the incredible sacrifices made by Jesus’ apostles in order to be obedient to his last command that they carry the Good News to the far corners of the world. A: I think writing is hard work. Writing historical fiction can be especially difficult. You better get the historical events in the story right. There are many history buffs out there who pride themselves on knowing intricate details about various historical eras. The author may be writing historical fiction, but he can count on his readers knowledge about the historical events surrounding the characters in the novel. If he gets dates wrong or mishandles historical characters or events, the reader will be sure to share his errors with others and cross him off the ‘must read’ list. Donald Joiner, a veteran who served during the Korean War era, is a lifelong student of history. Joiner’s passion for history shines through in his debut novel, The Antioch Testament, a sweeping, suspenseful novel resplendent with rich historical detail. When The Antioch Testament opens, it’s 2004 during the insurgency in Iraq. An American army patrol manages to rescue a frightened group of Iraqi Christians fleeing Islamic militants. The refugees’ severely wounded leader, a priest, carries with him a mysterious bundle the group has brought with them from a northern Iraqi Christian monastery. As he clings to life, the priest insists on handing over the carefully-guarded package to the American army chaplain. When the bundle is unwrapped, Army chaplain Charles Monroe finds a large, scuffed, leather-bound ancient manuscript written in an unknown language. Fearing for the manuscript’s safety in war-torn Iraq, the chaplain arranges to have the manuscript sent to Augusta, Georgia, his hometown. Eventually, the manuscript winds up in an Eastern Orthodox monastery where internationally- recognized linguists begin the arduous task of interpreting it. What the linguists discover is absolutely astonishing: the manuscript is a first century AD testimonial in Aramaic, the language Jesus spoke, describing what happened to Jesus’ apostles after his Resurrection. But time is running out. Unbeknownst to the interpreters, a fanatical Iraqi insurgent organization is bound and determined to retrieve or destroy the ancient manuscript before its secrets can be revealed. Some secrets may be worth dying for—but these secrets might even be worth killing for. 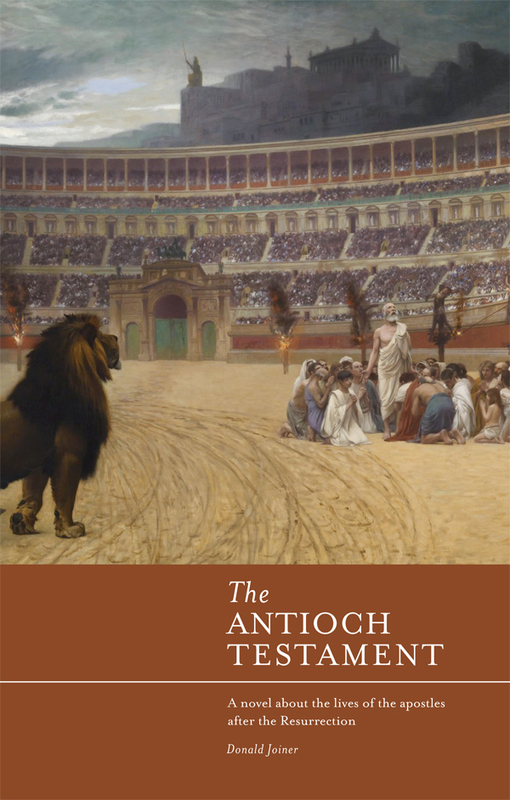 Imaginative, inventive, and intriguing, The Antioch Testament explores the lives of the apostles after the resurrection. A thoughtful and thought-provoking page-turner, The Antioch Testament is a carefully-crafted page-turner with a pulse-pounding plot, and engrossing storyline. 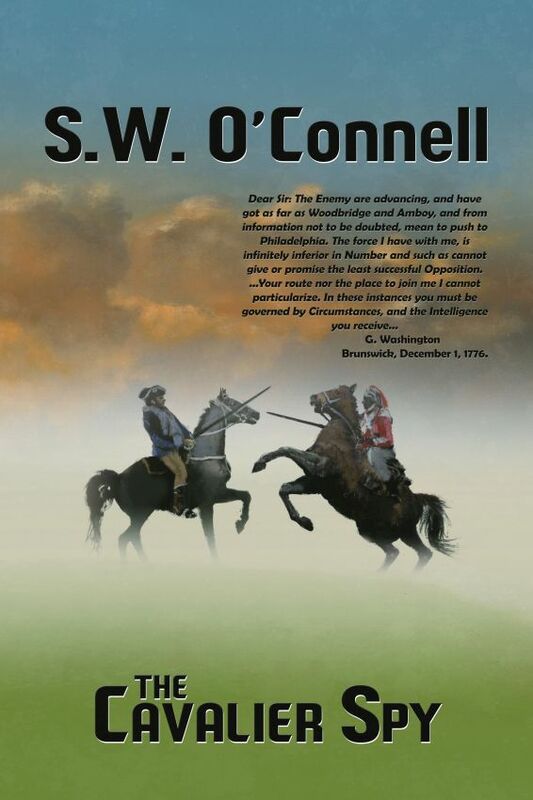 Q: Congratulations on the release of your latest book, The Cavalier Spy. To begin with, can you gives us a brief summary of what the story is about and what compelled you to write it? A: The Cavalier Spy is an action and adventure story about a young immigrant to the New World (Lieutenant Jeremiah Creed) who gets caught up in the American Revolution. It tells his story while presenting a unique look at the War for Independence through the eyes of those people (on both sides) caught up in the conflict and in espionage. It takes off where the previous novel in the series, The Patriot Spy, leaves off. George Washington has his back to the wall after the British take lower Manhattan. He launches the protagonist, Jeremiah Creed in a series of desperate gambits to save the American cause from crumbling just months after independence was declared. Q: What do you think makes a good historical fiction work? Could you narrow it down to the three most important elements? Is it even possible to narrow it down? A: The history. And remember, history ends in story. So the historical story should be compelling. This includes the setting and the historical characters (if any). Obviously the fictional plot should move along and entertain. It should also mesh seamlessly with the historic events. Finally, the fictional and historical characters should complement each other. The fictional characters should be true to the story line. The historical characters should be as true as possible to what they really were. The sweet spot is when they become as interesting as the fictional characters. A: One advantage of doing novels set against a military background is that the known military events can provide a guideline. For example, the main character can’t slip into British occupied territory and meet his significant other if he is 100 miles away fighting for George Washington. SO the historic setting provides a template for the writer, but it also places some restrictions on the writer. In my own writing, scope out the historic timeline first. Then, I settle on the fictional plot and sub plots that I must weave through it. Since this is a series, I can draw on a cast of existing characters, fictional and historic. But I always add new ones too. That’s the fun part. Getting to the second part of your question: I do improvise as I go along. I may take the plot anc characters in a totally different direction while crafting a scene. And I don’t typically decide who is good or bad up front. I let the scenes I write draw that out. This doesn’t include my core protagonists…. Usually. A: Well, Creed joined the rebellion to lead soldiers in combat but is unwillingly drawn into intelligence work by General Washington himself. So he is, at first, not very enthusiastic about his situation. However, he determines to make the best of it. I knew I wanted to create someone who was sympathetic and generally good guy. But one who could stand out and lead men into places they wouldn’t, or shouldn’t go. I wanted someone a bit self-deprecating and loyal to his values. He had to be valiant. He had to be upstanding. But he had to have a past. And he is somewhat mysterious – he has a past. Some of his past was revealed in The Patriot Spy. A LOT more is revealed in The Cavalier Spy. I didn’t really do any character interviews or sketches. I had the idea for how he should be pretty clear in my head. I do think he matures into his role in The Cavalier Spy. Just a real people involve when sent into combat and other stressful situations. He won’t be the same. A: I need a foil on the other side for Creed. His name is Major Sandy Drummond. I decided up front to not make him a cartoon or stereotype. He, like Creed, gets thrust against his will into espionage work after he gets wounded in battle. He doesn’t know much about the work but grows into it quickly. To make him realistic I drew on what I thought a mid-level officer of the period would be like: professional, demanding, dedicated, etc. Since he is a dragoon officer he is a bit more used to operating on his own. Oh, and he is a Whig. That means he is from the political party in England that seeks reconciliation with the Americans. But, like the other Whig officers, he is committed to suppressing the illegal rebellion. A: Having a lot of battle scenes helps! But actually, The Cavalier Spy is less of that than The Patriot Spy. However, there is lots of movement as the war turns to the maneuver phase. And this enables my character to engage with the populace along the way. He gets several secret missions. These enable me to craft scenes with suspense, intrigue and action. As for specific writing – I improvise scenes all the time. Although I have the plan, I never know where or when I will divert from it. That keeps it interesting to me, the writer, in the hope that it will be more interesting to the reader. A: Well, I do lots of research on the war and the general events that provide the background to the story. Then I try to develop the timeline with the venues. The ones that will provide the background, I try and draw out through description or the events (scenes) that take place there. I have four major settings in The Cavalier Spy. Each helped drive the story and the characters. I also researched the weather for this one. As it played a major role in shaping events in two of the settings. A: I’ll answer the second question first. Yes. Since this is a series, I really just picked up where the first book ended as the saga of Jeremiah Creed, willing patriot soldier but unwilling spy, continues. Theme one is how he molds his men into soldier-spies. Another is his relationship with George Washington and Washington’s fictional chief of intelligence. The overall them of the story is adversity and courage in the face of overwhelming odds. This goes for Creed, the American army, and the American cause. The story takes place, after all, during the times that tray men’s souls. Apologies to Thomas Paine. A: With regard to editing, not thus far. As a staff officer in the Army I learned to lose my sense of pride if I wanted to get my point across. Likewise, the advice of professional editors, particular with regard to the basics of scenes, characters, point of view, etc, seems very helpful to me. So long as they don’t try to inject themselves into it in ways that makes it theirs. I have yet to encounter that. As to where craft ends and art begins, who knows? If the story is good, and the characters are good, that’s what matters. 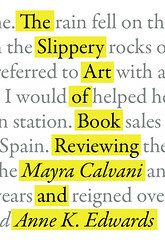 But the sum of it is art-like, almost like a painting made of words. A: The dedicated writer must love the stories. 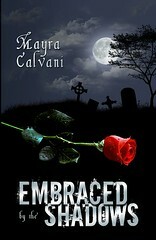 I am dedicated to what I write because I love the stories want to get the stories out. Stories about the American Revolution; about the soldiers and spies who fought it; and about the people who lived it. So, as hard as the writing is, and it is hard, it’s an enjoyable hard. Like running a marathon I suppose. A: I disagree. Homework is a drill. A better analogy is doing a term paper. But you get to pick the topic, length, etc. The process of writing is difficult and sometimes tedious. But if you are committed to the tale you want to tell, it’s not homework. A: For me it has been hard knocks, trial and error and trying to emulate (but not copy) some of my favorite writers. A: Pick something to write that excites YOU. Write often. Write what you love. Love what you write. Florence Byham Weinberg, born in Alamogordo, New Mexico, lived on a ranch, on a farm, and traveled with her military family. After earning a PhD, she taught for 36 years in three universities. She published four scholarly books. Since retiring, she has written seven historical novels and one philosophical fantasy/thriller. She lives in San Antonio, loves cats, dogs and horses, and great-souled friends with good conversation. Visit her website and connect with her on Facebook. Dolet depicts the life and times of Etienne Dolet. Etienne, who told the bald truth to friend and foe alike, angered the city authorities in sixteenth-century Toulouse, fled to Lyon, and became a publisher of innovative works on language, history, and theology. His foes framed him; he was persecuted, imprisoned, and ultimately executed by the Inquisition for daring to publish the Bible in French translation. What’s inside the mind of an author of historical fiction? Two things. Her doctoral dissertation was on François Rabelais, a sixteenth-century comedic and satirical writer. In doing that, she became familiar with the dominant French literary and political figures of the century, their folkways and thought processes. She has written three historical novels, including the current novel, Dolet. The other branch of her historical novels concerns what we now call the Southwest—in other words her home territory, which she loves. She understands the people, knows the landscape, fauna and flora, and the psychology of her people. 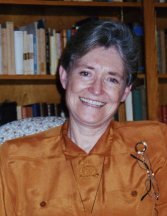 She has written about the founding of the five old Franciscan missions located in and around San Antonio (Apache Lance, Franciscan Cross), about the second expedition up the Rio Grande from Mexico (New Spain) in 1581 (Seven Cities of Mud), four mysteries starring a Jesuit missionary as detective (a historical person named Ignaz Pfefferkorn, S.J.) two set in the Sonora Desert, one in Spain and one in Germany. The outlier, Anselm, a Metamorphosis, is a fantasy set in upstate New York, where she lived and taught for 28 years. With Dolet, she returns to her beloved field as a scholar and professor, and attempts to reinstate Etienne Dolet among the great thinkers and writers of the 16th century in France. What is so great about being an author? The author is the god of his or her universe. This is truer if one is not bound by historical facts, but even if he or she is, the author still gets to imagine what happens in the gaps between those facts. Authorship transports the person—especially if the book is set in a foreign country at a different time—into another environment, with different folkways, politics, expectations, landscape, weather—in short, another universe. 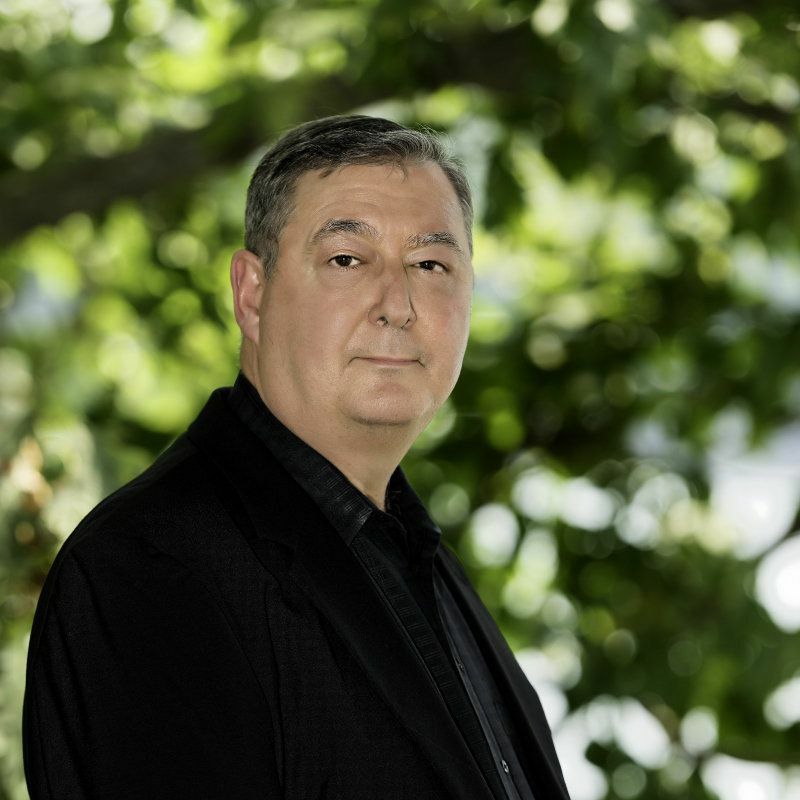 If, like author Weinberg, the writer aspires to write accurate historical fiction, it gives the opportunity to do research and to discover hitherto unknown facts. She has sorted through musty old documents in Mexico, in Spain: Madrid, Seville, Ciudad Rodrigo, and in Germany: Cologne, Unkel, Mannheim, Siegburg, Kiel and Düsseldorf. All her historical books (until this one) have appendices in which she clarifies what is fact and what fiction. The greatest thing about being an author is the joy of creation. The sense of elation when words are flowing effortlessly onto the page has no equal. This book calls itself a “nonfiction novel,” and since it endeavors to recreate true facts and situations, thre is no need for a historical appendix. When do you hate it? When words do not flow effortlessly onto the page. When the plot doesn’t work; the time sequences don’t match historical fact, but especially when interest in the chosen subject fades, and writing becomes a bore and a chore. This has happened rarely, but it has happened. What is a regular writing day like for you? If I’m lucky, I have long periods when I can devote myself to writing. If I am enjoying what I am working on, those periods are joyful. However, most days are interrupted by phone calls, visiting friends, doctor or other appointments, and other duties. Then, I have to fit my writing in and around an obstacle course. If I am particularly excited about what I’m writing, I will devote my late evening (say 10:30ff) to writing and continue into the wee hours, up to 2:00, rarely to 3:00 AM. I always rise at 8:00 AM and sometimes, when necessary, earlier, so a 2:00 or a 3:00 AM night causes hardship the next day. Do you think authors have big egos? Do you? Some do, some don’t. Egos vary with success, I think. I belong to a literary critique group, and we keep each other informed of our successes and our difficulties. We always help each other if possible, and we know each other quite well. But personalities and egos, obviously, differ. We have one member who has had to drop out of the group and move elsewhere, but who is quite successful, writing middle-school-age books. She has even had a TV film made based on one of them. She is still the same person—no inflated ego. One is writing creative nonfiction with much success. Maybe a flash of ego here and there, but mainly under control. Another is coming out with a new book this fall, her first, and still another has published with a small press about early 20th-century Texas. Two others are self-published with modest success, and I have published quite a bit with modest success. All in all, no inflated egos in sight. My first reaction is hurt and disappointment. Then, if the reviewer has seen real flaws, I try to learn from it and avoid them in future. If the review was—objectively speaking—unjust, I feel anger. This is especially so if the negative reviewer has clearly not read the book, but publishes the negative review in a prominent journal or paper. I will grouse about it to my friends for a short time, and then let it go. Life’s too short to dwell on little bumps in the road. What is the usual response when you tell a new acquaintance that you’re an author? Usually they express enough interest that I can hand them a bookmark with a tiny reproduction of my cover illustration and a blurb with my URL. Once they have that in hand (or those—I carry bookmarks for all my books in my purse), they are willing to engage in conversation about my books. I have rarely met a person who brushes me off. It happens only very occasionally. What do you do on those days you don’t feel like writing? Do you force it or take a break? I take a break. I enjoy walking or hiking, and sometimes take day trips to interesting places near San Antonio. This doesn’t happen often, because I do work out for an hour in the Olympic Gym three times a week and walk for an hour on the other days. That normally keeps my writing juices flowing. Probably that I am willing to go to great lengths to research my topic before I write. I have delayed starting a novel for up to a year while building a firm foundation for my leap into prose. This has been especially true for the book I am now working on. I have spent weeks reading books on the subject and going through documents in the Alamo Historical Archive. Most authors probably don’t feel the obligation to go to such lengths. Have you worked on your novel intoxicated? What was the result? Yes. Never blind drunk, obviously. The effect is that inhibitions are gone and the imagination is often freed to take flights it might not when sober. On the whole, I found that good ideas and good writing can result. I don’t do this often, however, since I don’t want to tip over into alcoholism! What would you do if people around you didn’t take your writing seriously or see it as a hobby? I’m in constant fear that the IRS will see my writing career as a hobby! I have had recent experience of a colleague from my days as professor, who spoke slightingly of my pulp fiction. I engaged him in a conversation about the issues raised by some of my books, and by the end of that he apologized for not taking me seriously. I have no idea what he really says behind my back, however. Some authors seem to have a love-hate relationship to writing. Can you relate? Not really. If I hated it, I wouldn’t do it. I hear often about the “agony of writing” from authors with sterling reputations, but I have never found it so, and I thank God that my chosen occupation doesn’t make me suffer! Do you think success as an author must be linked to money? No, since writing is a joy in itself for me. On the other hand, a little cash beyond my retirement annuity would be most welcome! Write every day if possible. Set up specific times and a designated place that you can devote entirely to your writing. Know roughly what your plot is, but don’t outline, since your characters need the freedom to tell you where to go next. Edit your writing the morning after, then continue writing. Show your writing to friends and take their suggestions seriously. Join a critique group if possible. Once you are finished, let a couple of friends read your book. You’ll be amazed at the typos, syntactical snarls, and perhaps logical snafus they will find. Then re-edit. Most of all, enjoy what you’re doing, else you won’t carry through to the end.